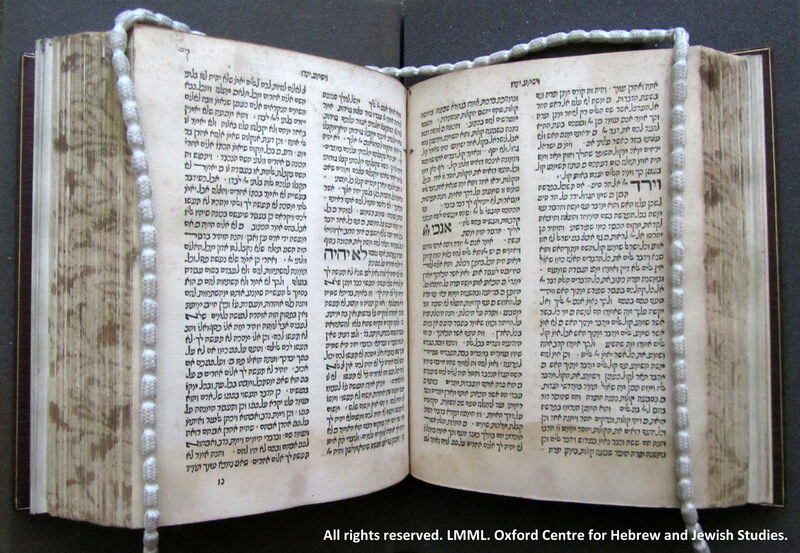 This edition of Nahmanides’ commentary on the Pentateuch from 1489 was the first book printed in Lisbon. 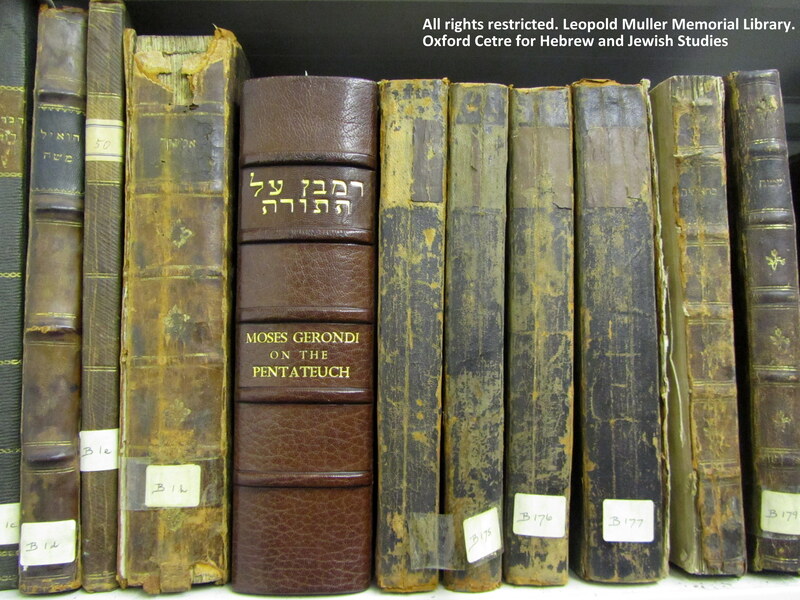 It was published by two rabbis, Samuel Zorba and Eliezer Toledano and preceded the first Latin book printed in Lisbon by some six years. Toledano’s printing house was one of the earliest to use borders in his publications. 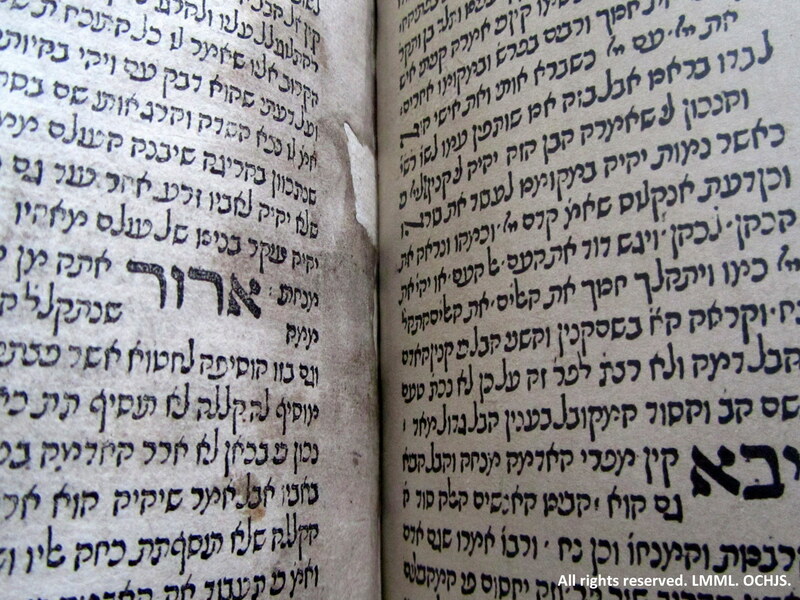 His Nahmanides’ commentary has a beautiful inhabited floral border around first page. The frame was designed by a Christian printer and engraver, Alfonso Fernández de Córdoba originally for a Hebrew Bible published in 1486 and 1487 by Eliezer ben Abraham ibn Alatansi and Solomon ben Maimon Zalmati in Híjar, Spain. For operating a printing shop with Jewish connections, Fernando was sentenced to death in absentia in Valencia. Opening with a facsimile leaf on the right and original on the left side. 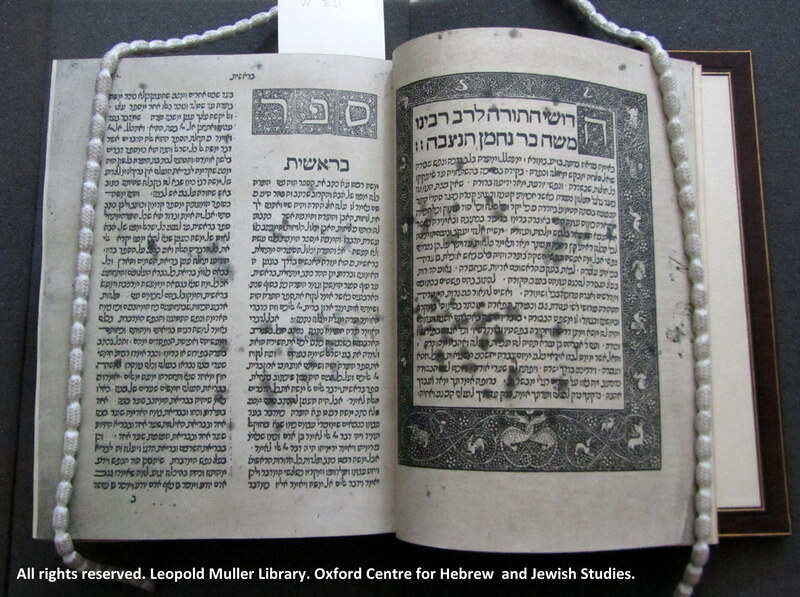 This entry was posted in Book restoration, Hebrew printing, Highlights, incunabula, Uncategorized, Western Hebrew Library on 31 March 2014 by zeidlerm.